Volkswagen T-Cross Concept news: small SUV rivaling the Nissan Juke to be revealed at 2016 Geneva Motor Show? Volkswagen may be introducing a new concept vehicle at the 2016 Geneva Motor Show. According to the latest reports, Volkswagen is set to unveil the T-Cross Concept, a small entry-level SUV based on the Volkswagen Polo hatchback. Autocar's sources reveal that the T-Cross is scheduled to enter production in 2018. Once released, it will rival the Mazda CX-3 and the Nissan Juke. The Volkswagen T-Cross Concept SUV will also join the larger T-Roc Concept SUV. 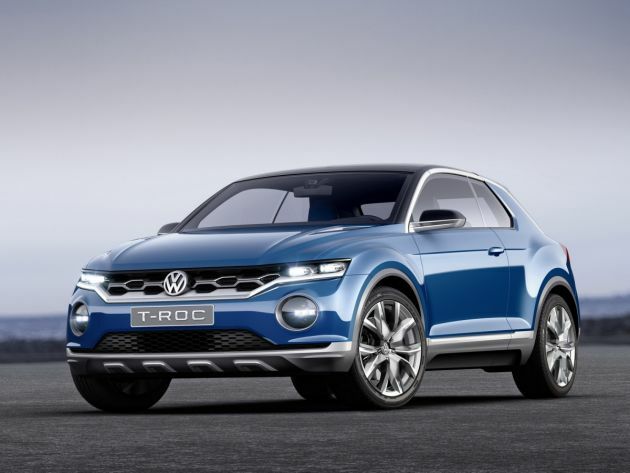 The T-Roc Concept is based on the Volkswagen Golf hatchback and is expected to launch in 2017. The upcoming release of the T-Roc and T-Cross SUVs are said to be part of Volkswagen's strategy to fast-track the development of its SUV lineup. The German car manufacturer is hoping to increase its presence in the fast-growing SUV market. The T-Cross and T-Roc SUVs, once developed, will also join Volkswagen's popular compact crossover, the Tiguan. On the other hand, Volkswagen is said to be abandoning plans to produce the its smallest SUV based on the Taigun Concept. Like the T-Roc Concept, the T-Cross Concept will also be built using the company's flexible MQB platform. There will also be three powertrain options – a petrol engine, a diesel engine and a plug-in petrol-hybrid powertrain. The T-Cross SUV will also be offered as a front-wheel drive and as a four-wheel drive. In terms of design, Volkswagen is set to give the T-Cross Concept the same unique exterior design as the T-Roc Concept in order to provide a consistent design language for its SUV lineup. Some of the similarities include the full-width grille, side windows and the distinct wheel arches. However, the T-Cross Concept will also come with unique design cues that will set it apart from the T-Roc Concept. Volkswagen has not made any official announcements regarding its lineup for the 2016 Geneva Motor Show. Stay tuned for the latest updates.